Yubikiri - or pinky promise is a one shot manga consisting of 3 stories. Coincidentally, this was written and illustrated by the same manga-ka as Sunadokei (which I also encourage you to check out). Each of the three stories are similar in the fact that the girls in each of the stories are, for the lack of a better word, troubled. This is really apparent in the second story (Cuckoo child). I'm not really all too sure what to actually make of the second story. The first story, where this &quot;manga&quot; gets its name from, is not as dark as Cuckoo's child. However, it does discuss issues such as suicide - which is never considered light reading material. What I find interesting about them is that these one shots are not afraid to discuss matters that are not readily discussed in other, more mainstream manga. In a way, they are similar to Fruits Basket and maybe even Koi Kaze in that respect. 60 days, the last of the three stories, is lighter in nature to the previous two. The good thing about the third story is, I think, that people can probably relate to the protagonist. These one shots do tend to leave you wanting more, wanting to know what happened after. Which is slightly annoying, as being one shots (as are the majority of her work) - you know that they are, in essence, completed material. 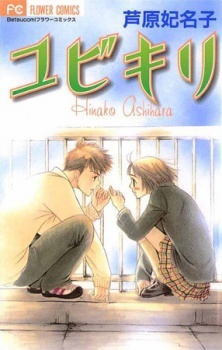 The artwork is classic Ashihara Hinako - instantly familiar if you are reading Sunadokei. And also, despite being one shots - they are incredibly worth reading. You won't regret delving into these little short stories. This was a good manga, I liked it, althoug it wasn't nothing much. I think for someone who just want to read a OK manga to spent time, this is the thing. Don't expect to be reading the best manga, because this isn't. Anyway, about the stories, they're cute and well done, they make sence. The characters are allright, and they ain't all as the typical characters, so that brings some new, unless you're an anime expert and have already see all the characters that are to see.